Relax its not an event...but those that make event happen! your event Talk Of The City! 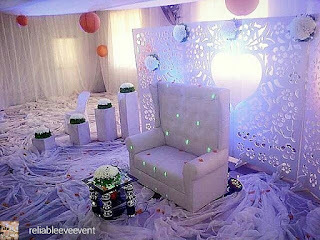 We offer the following services : Decoration, Ushering Team, Master of Ceremonies(MC),Photographers, Asun Delicacy, Cocktail, Milk shake, Fruit Arts And Dessert, Makeup Artists, Cake Delivery. Our Services are affordable with 101% Guarantee Peace Of Mind. Its that simple. Try us today! Contact: 08090584540, 07030027996 for bookings and enquiries. At Reliable Eve, We Are Responsible For YOU!